Provincial elections in Lanka are like by-elections. Elsewhere in the world by-elections are an opening for voters to express their disgruntlement with the party in power, here it is invariably an opportunity for a sycophantic electorate to come out and cheer the party in power, whether SLFP or UNP, and bum its way into favour. What happens at a general election, however, is a different test. Elections to the European Parliament belong to this by-election category; earlier this year the established parties across Europe were hit in the solar plexus, but come the next national elections the upstarts (Marie le Pen, UKIP etc) will slip back to more modest positions. The Uva PC election takes place at a time when it is not quite a pseudo by-election where the electorate will bend over backwards to bum the government. I will not call it a litmus test of things to come either, but it will signal trends to a degree. 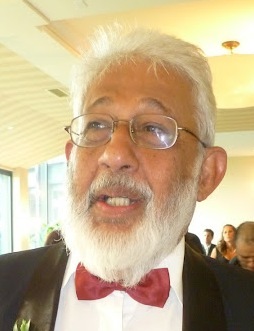 It is foolish, even so late in the day and less than a month before polling day, to hazard a guess what the outcome will be for the reason that subterranean disenchantment with the government is said to be in motion, but putting a number on votes, except to say the UPFA vote will decline, is hazardous. The fall may be substantial, it may be inconsequential. My goal today is not this guessing game but to speculate what the political consequences of different outcomes may be. That is a safer and more logical line of analysis. Let be put some background down on paper first. The August 2009 Uva PC election was a landslide victory for the UPFA, the largest victory of any PC except for the 2013 TNA tornado in the NP. The UPFA polled 72.4% (and took 25 seats including 2 bonus seats), the UNP 22.3% (7 seats), the JVP 2.5% (1 seat) and the Up-Country People’s Front 1.6% (1 seat). This is the benchmark against which we have to compare swings, but first comparison with the recent Western and Southern PC elections of March 2014 is relevant. (The dated 2012 and 2013 PC election results are no longer significant). The UPFA vote share in 2014 declined by 11% in WP and by 10% in the SP compared to 2009, but the advantage did not accrue to the UNP whose vote share actually declined by 4% in the WP and rose by a slender 1% in the SP. So where did all the votes go? In the WP a 4.5% increase in the JVP poll and 7.5% polled by the new entrant Sarath Fonseka’s DP pretty much absorbed the UPFA and UNP’s losses. In the SP most of the UPFA’s 11% loss was absorbed by a 3% JVP increase and 6% to new entrant DP. The picture in WP and SP then is that though the government slipped the UNP has nothing to crow about as Sarath Fonseka and the JVP made hay while the sun was shining. No one in his right mind expects the UPFA to poll over 70% (recall that in 2009 it polled 72.4%) in the hostile political climate that now prevails. The question of importance is what will be the decline, how much will the UNP pick up and will the JVP and DP turn out superior performances. I will look at three scenarios, all of which assume that the government will retain control of Uva PC (it is unthinkable that it will lose) but I will make different assumptions about the UNP’s performance (the important signal) and about the expected decline in UPFA vote. The objective is to thereafter speculate about post-Uva political trends in each case. Scenario 1: The UPFA vote declines by something in the region 12+% but most of the gains go to other entrants (the JVP, DP, the new Muslim combine, and Weerawansa who is trying his hand going it alone in Mahiyangana) and not the UNP. In this scenario the UNP vote share rises only slightly say to the mid to high twenties. (Recall that in 2009 the UNP polled 22.3%). Scenario 2: The UPFA vote declines by the same order as in Scenario 1 but the UNP picks up most of the gains, its share of the vote rising to the low-thirties to mid-thirties percentage region. Scenario 3: The government suffers a serious setback, all its fixing and fouling notwithstanding, and its share of the vote declines to the mid fifty percent region. In this case though the JVP, DP, SLMC and Weerawansa will make headway, the big winner will necessarily be the UNP whose vote share could rise in this scenario to the high thirties bordering on 40%. This is a UPFA to UNP swing scenario. Many intermediate scenarios can be postulated but a discussion of the consequences of these three cases will be adequate since alternative situations and analysis can be interpolated. The simplest is Scenario 3. It screams out a message from the rooftops; “Rajapakse is finished! 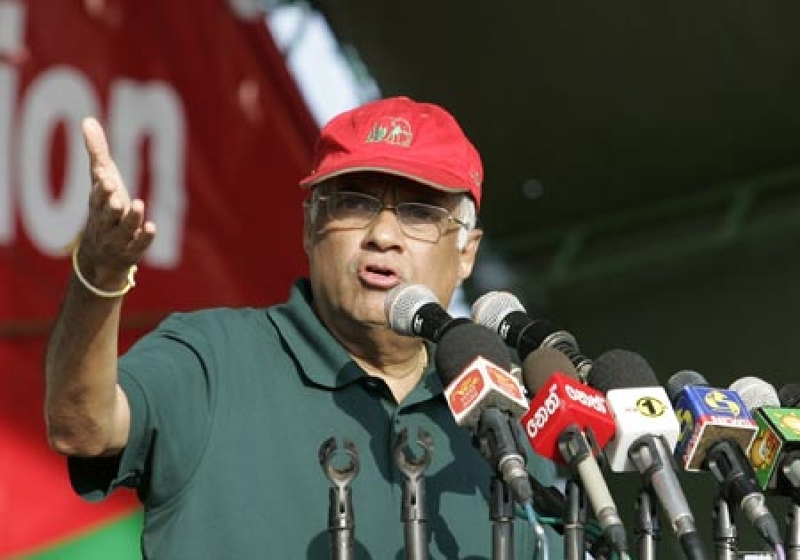 Ranil be emboldened to bid for the Executive Presidency for a full six year term!” Whether he can win is another matter but in the interim hopes of running a Common Candidate to abolish the Executive Presidency will be buried. The UNP will not be interested and without the UNP block-vote the Common Candidate cannot win. 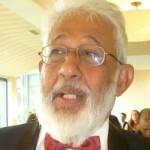 In this case there is no hope in running a third abolish-EP candidate against Ranil and Rajapakse. There is a possible redeeming version of this scenario however. Rajapakse, facing the mortal danger of possible defeat uses his existing 2/3 majority to abolish EP himself. He then presents himself as a prime ministerial candidate on an “I won the war, I kept my promise and did away with EP, see what a good boy I am. Make me prime minister”. I think the trick will work but even the unenviable prospect of having Rajaapkse as prime minister for another wretched term is a price worth paying to be rid of EP. Scenario 1, I believe, will also lead to foreseeable consequences. In these conditions UNP will be forced into an alliance with others clamouring to abolish the Executive Presidency and will be reluctantly compelled to agree to the six-month Road Map. Then the UNP as the largest party in the Single Issue Common Candidate (SI-CC) alliance may ask for the presidential candidacy for Ranil himself or for Karu, but I really don’t see the purpose. If EP is to be abolished within months the grand prize is the subsequent prime ministership and the interim president will be at no advantage in this respect. He/she may actually be at a disadvantage, having to bear responsibility for the usual but unavoidable bickering in the Road Map period; after all this is Sri Lanka. Scenario 2 is the business as usual option which most people expect and the best that the government can hope for. It will trigger presidential elections quickly and parliamentary elections soon after the Pope’s visit. If the UPFA does well in Uva, that is if it polls 62 to 65%, it is reasonable to project that President Rajapakse will hold 50+% in the first count island-wide in a presidential poll. The opposition, if it has any sense, will unite around a SI-CC candidate; all talk of the candidate’s name is redundant till after the Uva poll. The DP and TNA I am confident are on board for this strategy, and as I said the UNP will climb on board with little other option. The possible dog in the manger is the JVP. It is conceivable that it will declare that if the UNP supports the CC it will not throw its weight behind the CC. That’s the kind of silly sectarianism that it is capable of; in effect saying “We will support a Common Candidat e but only on condition that he/she is sure of losing!” This defies logic but I fear it is not impossible. There is one last but dangerous scenario now being discussed on the web and in left circles. If the regime is faced with the certainty of losing power, it cannot face or accept the consequences. The day after will be too dangerous; remember Marcos, Gaddafi and Mussolini. The web discussants have raised the concern: “Then will there be a coup to enable the regime’s leaders to hang on to power?” In my view an attempt at a coup cannot be ruled, but it can be defeated by three inputs. (a) Popular opposition on a mass scale (JVP and Fonseka can play crucial roles in mass mobilisation and in appealing to the forces to uphold the Constitution, respectively); but for this, mobilisation of the people should start as soon as the danger of a coup is sensed in reality. (b) International opposition to the coup and sanctions. And (c), probably the most important factor; India will not tolerate a military regime or an explicit annulment of the democratic system in Lanka. The point is that Indian strategists will reason as follows. (They must have thought it through a long while ago). A military dictatorship in Lanka is something that Tamils will refuse to live under – it is hard enough to make them accept unified formal democracy. They will say “For what conceivable reason should we submit to a Sinhala military regime?” Much trouble and turmoil will start. TNA leaders, Fonseka and Ranil will have to flee, maybe to India, and the JVP will have to go underground or face military death squads. There will be a big reaction in Tamil Nadu. Some chaps like Vaiko may try to raise an invasion force. This will all be uncomfortable, even destabilising, for Delhi. To put it bluntly, a coup will be crushed within months if not sooner by a confluence of an internal uprising, international pressure and Indian intervention. Best that any potential plotters forget about it even before getting started.